Things Out Of The Ordinary: Is Telepathy Real...Can Thoughts Travel From one Brain to Another? Is Telepathy Real...Can Thoughts Travel From one Brain to Another? Is Telepathy real? Is telepathy possible? Can we, normal human beings communicate through our minds, via thought exchanges alone, without any device? Webster online dictionary defines telepathy as- "the supposed communication of thoughts and ideas by means other than the known senses." 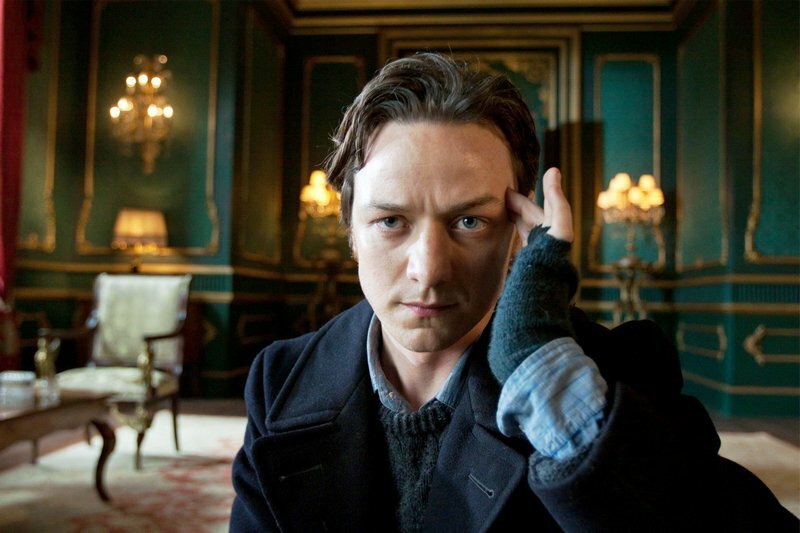 I am sure a great number of the people reading this have watched X-Men the movie, and know of the character, Professor X in the movie, and how he communicates with people through telepathy. But according to the movie, he is a mutant, and 'mutants' don't exist in the real world. So, the question still stands- Can normal human beings communicate through thoughts alone? The year was 2006, I was in my last final year at the University, and I had this female friend I spent a lot of time with on campus. One day, I was in a class, and I kept having this strong feeling to call or go look for her. This wasn't usual, cos it wasn't like we were lovers. The feeling kept coming back stronger, and stronger, so immediately after the class, I rushed downstairs to the lecture hall she usually had her classes. As I walked in, I saw my petite chocolate complexioned friend, lying down on a desk, face down, pen in hand scribbling something on a piece of paper. Right there on the small white piece of paper was a semblance of my phone number written in many places. I tapped her and she seemed so shocked to see me, and said- "Whoa! Olumide, this is really funny. I was have been trying to remember your number, and when I couldn't I started thinking strongly of you and wishing you would just show up. And...You just did." Was it a coincidence that I happened to show up just when my friend was thinking of me? Was it me thinking of her in my class, or was she, via telepathy, communicating with me and asking me to come downstairs, without knowing what she was doing? Although I didn't give it much thought that day, it logged deep down, somewhere in my subconscious mind. And I would occasionally think about it. In 2009, a friend of mine gave me a book titled Think And Grow Rich, by Napoleon Hill. I loved the theories laid down in the book, but the part that really got my attention was a particular chapter in the book where the author spoke about how our brains transmit and receive thoughts; postulating that the human brain can both receive and transmit thoughts from other people close to him/her or people with which he/she has some sort of connection. After reading this, I was restless. I had to find out more about telepathy, so I started reading a lot. I read about a lot of controlled experiments all over the world that proved that we really do communicate via thoughts, and that our minds (the whole human race) is sort of connected with each other; better explanation- an ocean might cover a large land mass, but it still is essentially tiny drops of water...and each drop is connected. We are all connected. There is a collective consciousness...a universal mind that we are all connected to, an if we practiced, we could communicate with each-other, without speaking or using devices, regardless of where either person communicating is. Like I like to do when I find out about a new theory, I used myself as a guinea pig. In 2013, I had a friend who was as weird as me, and when I told her about the whole idea, she thought it was actually possible. So, we decided to test if telepathy really was possible. We agreed that, at random times, we would take out time, get into a meditative state, and then fully focus on the other person. That is, I would, randomly take out time to focus on my friend Chinelo for more than 10 minutes, and see if thoughts could really be transferred, and she would do the same. I tried it first, and just into a couple of minutes into the experience, Chinelo called me. We ruled the first occurrence as a coincidence, and tried many more times, and the experience always came out positive, that human beings can communicate with each other without speaking or using any communications devices. We were going to the next step of testing if we could actually pass real messages to each other before we had a falling out. Since then, I haven't given it much thought, as I felt I was getting too deep into the spiritual realm, and decided to give up all that esoteric knowledge quest and just live a regular life. But, a few days ago, I read a statement made by American inventor, Nikola Tesla on the advancement of communication. Tesla actually made the statement in 1927, and was talking about wireless communication. At the time, it was something that seemed an impossibility. Now, we see people talking to each other on cell phones as normal. But back in like the early 19th century, a person making those kind of assertions could be burnt at the stake for practicing witchcraft. All these made me think of the possibility of telepathy being a normal thing in maybe the next 100 years.